DBC Members Vinovium Associates are now expanding their workforce after being hired by both Auckland Castle Trust and its sister charity, Eleven Arches. Vinovium Associates, based at South Church Enterprise Park, has created jobs for 10 local people who were previously unemployed, as a direct result of landing the contracts, which are the biggest in the firm’s 19 year history. 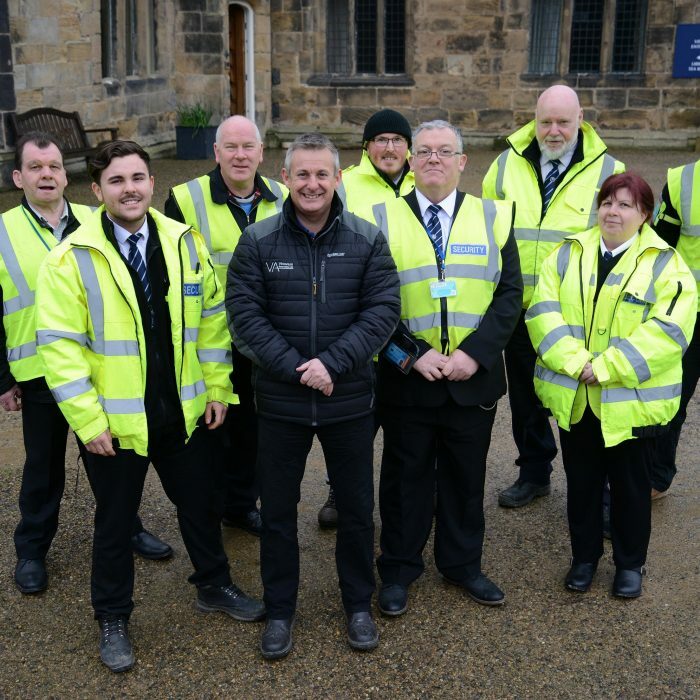 The new full-time posts, which include guarding Auckland Castle and the site of the open-air live show ‘Kynren – an epic tale of England’, have been awarded to SIA trained candidates from Bishop Auckland, Shildon and Willington, with the possibility of more jobs being created soon. Vinovium Associates, established by former police officer, Jim Loughran, is one of a number of contractors, based in and around Bishop Auckland, who are currently involved in the ambitious plans to develop a world class arts, culture and heritage destination, creating new opportunities and ultimately revitalising the town.